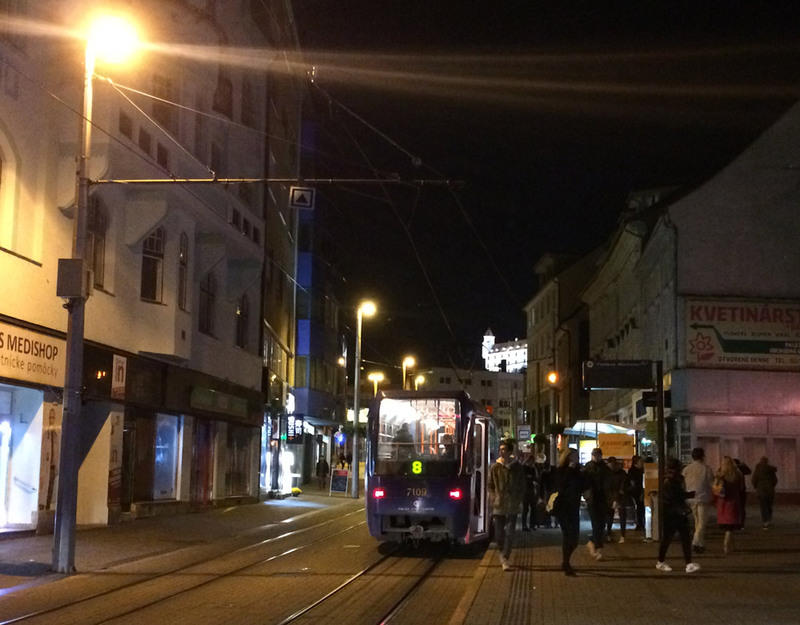 When you’re new to public transportation in any new county it can be daunting so I’ve documented my tram ride in Bratislava, Slovakia. 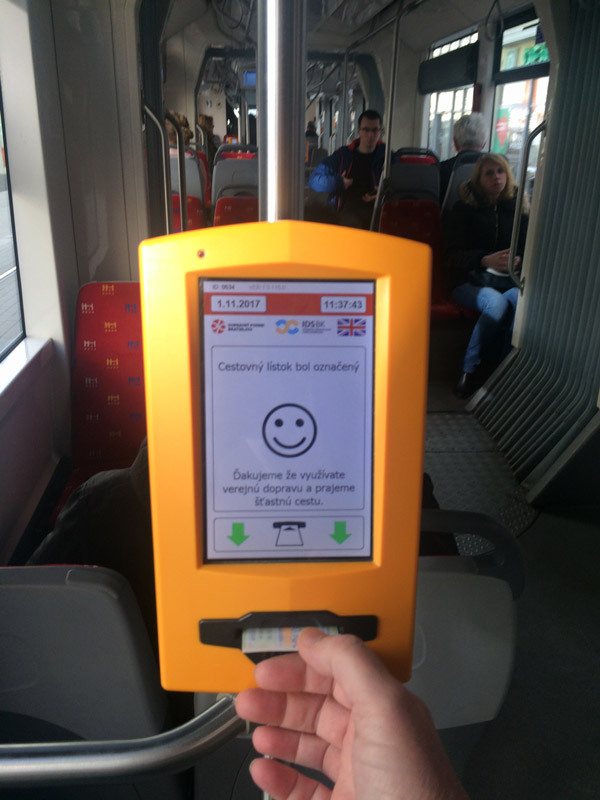 Your first tram or bus may be in any other country but it’s likely to have the same basic system. Not Bratislava bound? Just use this one as an example. 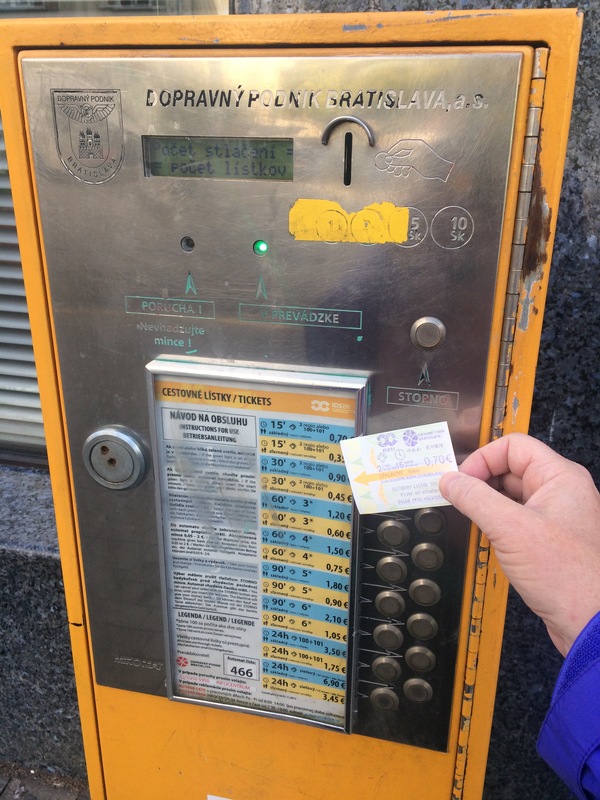 Bratislava tram ticket machine and me with my €.70 ticket between Hostel Folks hostel and the train station. 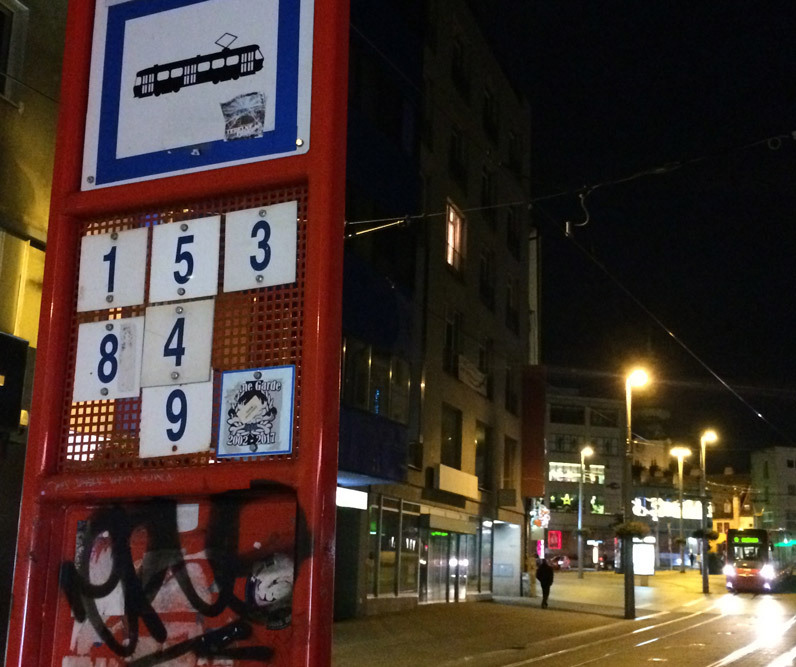 Each tram stop has a vending machine for you to purchase your ticket. You purchase a ticket that covers the amount of time it will take you to ride. The ride between Hostel Folks, a hostel that I highly recommend and the train station is 9 minutes on the #1 — but the tram number isn’t necessary when you buy your ticket. Once you’re inside, you need to validate your ticket. This is very common, so look for a machine like this in nearly every country. You won’t typically get away with saying you’re a tourist and don’t speak the language. That’s it. Now put your ticket someplace handy and remember where you’d put it. 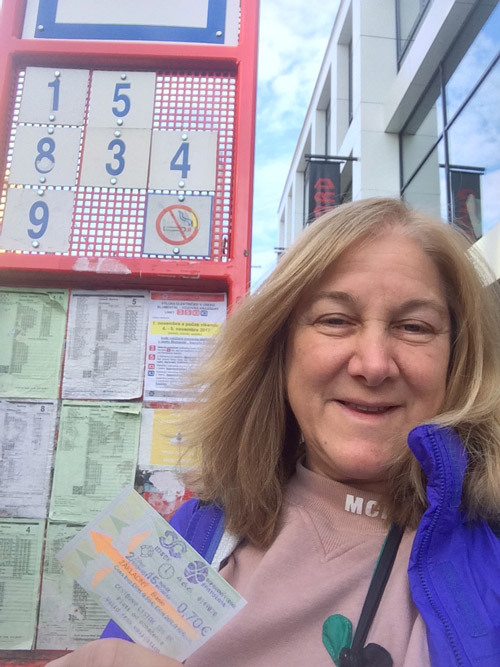 Really remember — because when you don’t read the language on the ticket it’s easy to mix up one ticket with another. 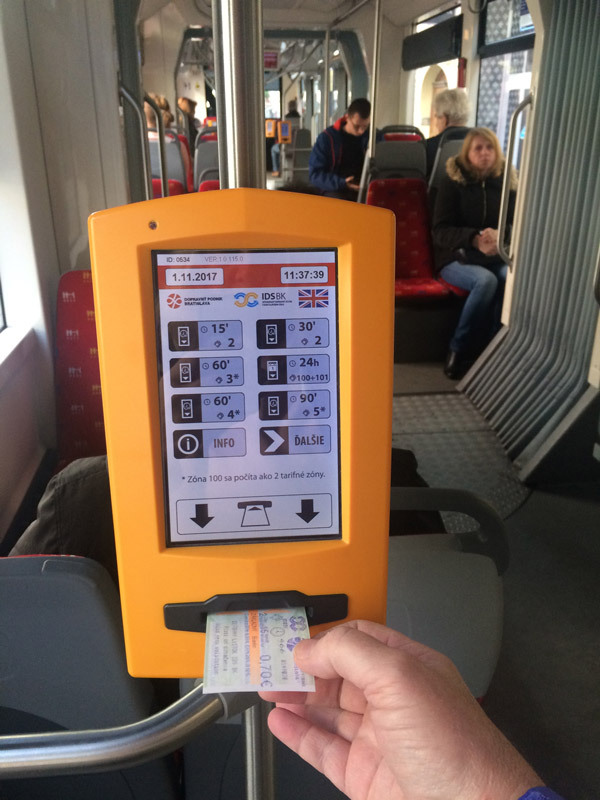 Keep your ticket until you’re out of the tram because you may be asked to present it. If you’re into collecting them, consider marking the ones you use so you don’t have to hunt for the light ink of a validation stamp when you have a bunch in your handbag or pocket.